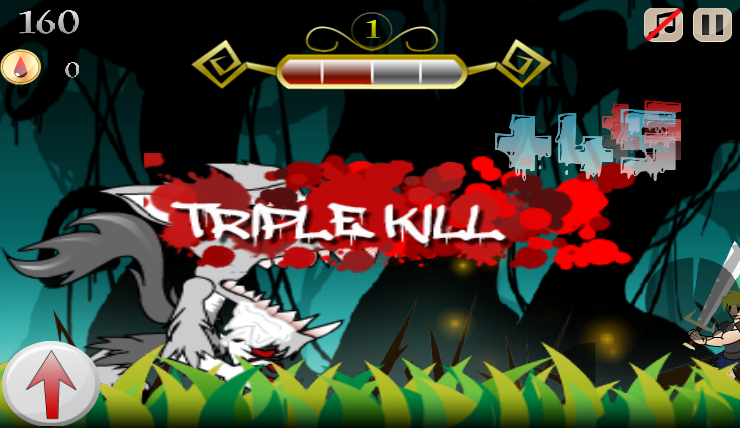 Bloodthirsty is an arcade fun to play game. Help Jacob the werewolf survive as long as possible in the Haunted Forrest ! Be careful not to die in this arcade game. You have three abilities : - Double Jumping - The Claw Attack - The Bite Attack. Your superpowers have a few seconds cooldown , so take care when you use them , as enemies can come at any moment and kill you. So, survive,survive,survive ! Also collect coins and watch after the special magic coin , which give you amazing extra powers. 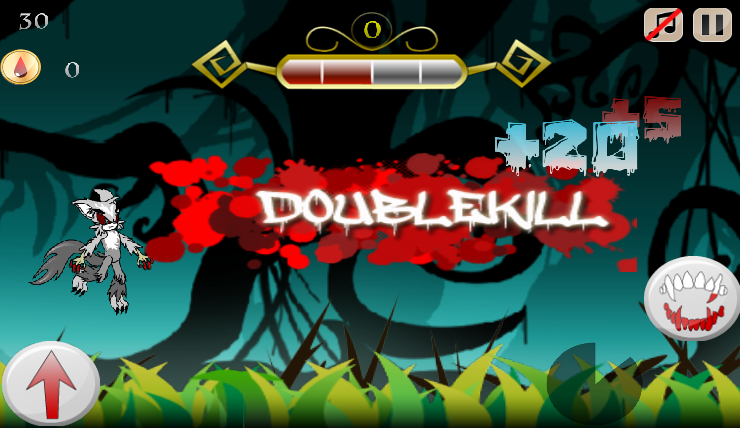 Fill your BloodMeter by killing enemies , in order to achieve the Bloodlust and score even more points ! Use your superpowers in order to survive the most crucial moments ! You are one of the most powerful Werewolves and your mission is to kill as much Fairies , Warriors , Golems or Ghosts ! The Fairy is very fast , the Warrior is very tall , the Golem is very big and solid and the Ghost is just maleficent. This is not just another Temple Run game or Flappy Bird clone , i hope it's unique in it's way and you will like it ! Features: -Powerful abilities -Cooldown-synchronization based gameplay -Posibility of upgrading your abilities -Extra Powers -Collect coins -Use coins in shop -Achievements & Leaderboards Find Bloodthirsty on Facebook : https://www.facebook.com/BloodthirstyTheGame Find Bloodthirsty on Twitter: https://twitter.com/bloodthirsty999 Bloodthirsty is a free game. And it will stay free. Help Bloodthirsty achieve the top games in it's category ,maybe it could be one of the best arcade games. Support the developer.